We do accept clean quality clothing items that are suitable for young people 16-19 years. We cannot accept used socks or underwear for hygiene reasons. We have limited capacity to take furniture items. Please send us a photo and we will see if we have a young person or family who would benefit from the item. Our priority as a service is to support our young people. As such, we appreciate donations that can be dropped to our administration office. We do not do same-day pick up of donated items. Please call to discuss your donation and we will be happy to offer advice on the service most in need of your item/s. We do gratefully accept Christmas gifts that would benefit a teenager 16-19 years and/or a young family. We also accept food items for a Christmas lunch/dinner. 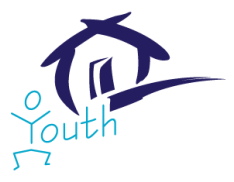 Unfortunately, as we protect the privacy of our young people, you cannot generally meet the young person that you are wanting to give the donation to, or tour a refuge site. However, we can pass along a thoughtful card. ​Most referrals for housing should refer to immediate housing. These houses operates 24 hrs a day, 7 days a week, 365 days a year.